Mercedes, premiere car manufacturer, brought 2012 Mercedes Benz B Class to the Indian market today. As expected, the market witnessed customers vying to book the car to become pride owner of the car. As a result, within four hours, the company officials had to announce that the booking has been closed as all the units of Mercedes Benz B-Class were already allocated to the customers in the first booking. Mercedes Benz has also announced that they will bring limited edition of S Class Sport and E Class Sport to India before Diwali. The E Class and S Class have been designed with more sporty look. The car was launched at a price of Rs 21.49 lakh. The company had allocated 250 units of car for the Indian market. Now, the market has witnessed that the car has been pre booked. The car was launched in an event organized in Mumbai, where large number of Mercedes fans gathered to book the car. Now, those who missed out on the opportunity have to wait till January 2013, when the company would open the bookings of the car in the second round. The Mercedes officials claimed that by the end of October 2012, all the 250 units of the car, which were pre-booked today would be dispatched to the customers. The customers will have to wait to drive the car for atleast one month. 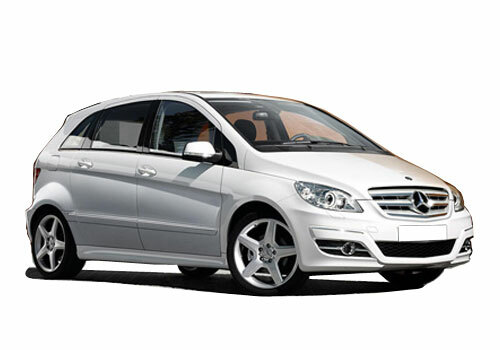 Mercedes Benz B Class is a compact MPV car, which can be categories as luxury compact sports tourer. Not only in India, but across the world, the car lovers have admired the B Class. All over the world, there are around 75,000 proud owners of the car. Mercedes Benz B Class is powered by one engine of 1.6 litre, with 4-cylinder turbocharged petrol engine. The engine generates 122PS with Torque equal to 200Nm. The car has been made available in two variants. One is B180 and the other is B180 Sports. Both have different price tags. B180 Sports is made available at Rs 24.87 lakh while B180 can be bought at Rs 21.49 lakh. It is a fuel efficient car with Eco Start-Stop button. It has a top speed of 190kmph. The Mercedes Benz is soon going to launch Mercedes Benz B Class in the Indian car bazaar. This hatchback looks very exciting.